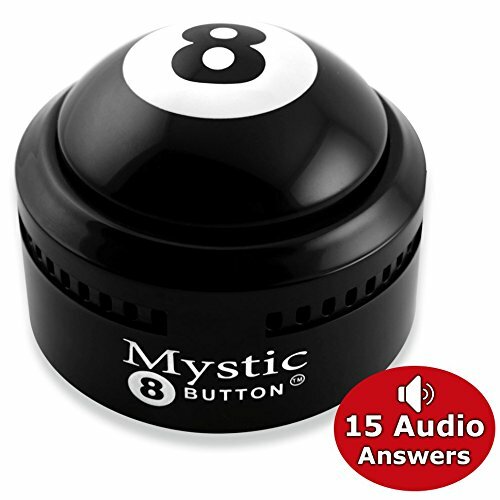 Novelty888 MYSTIC 8 BUTTON - (15 Different Audio Answers) New Generation of traditional MAGIC 8 BALL. New Fortune Teller Novelty 2018. Best Desk Toys Ideal for the office, birthday gift, college dorm rooms, gifts. You know the answer, I have no idea, Looks like a NO, Looks like a YES.